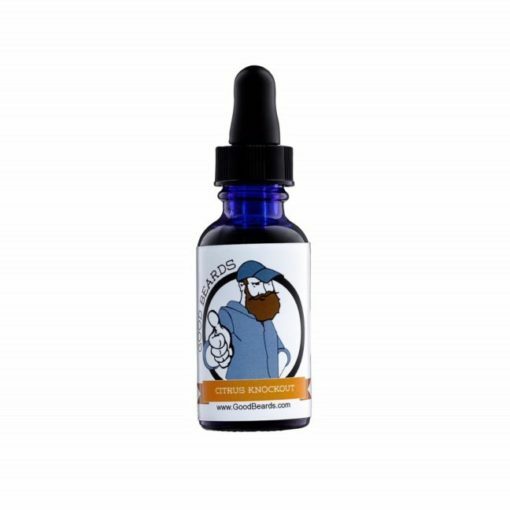 Refresh your jaded senses with the fresh fragrance of the citrus Knockout Beard Oil. 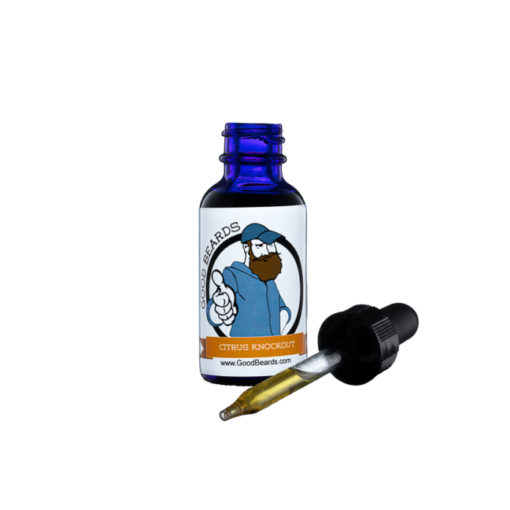 The handcrafted beard oil contains essential oils and extracts of white grape fruit, lemon grass and blood orange to deepen the citrus notes, in a base of eucalyptus oil. 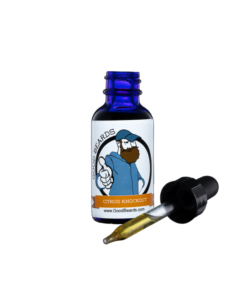 The fresh citrus smell uplifts the mood while the eucalyptus oil helps to nourish and stimulate facial hair growth giving you a beard every one desires but few can manage. Citrus Knockout combines the refreshing aroma of White Grapefruit, Lemongrass and Blood Orange with the earthy fire that is Eucalyptus. These essential oil blends are known widely for their disinfectant, stimulant, antidepressant and antiseptic qualities. 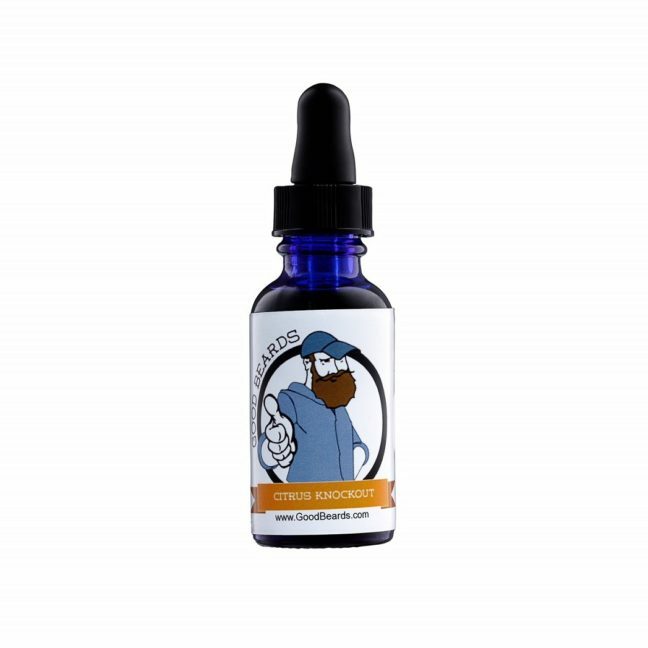 The sweet, yet earthy aroma is sure to please and invigorate your senses. Can be used as a daily, leave-in conditioner. 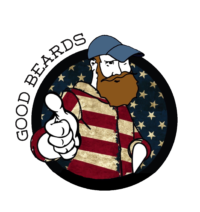 Topical use only, if you are unsure of the ingredients please contact dan@goodbeards.com for additional information. Place a dime size amount of oil into your palm, rub them together and massage the oil into your desired area (face, beard, elbows, knees, arms, head). Practice makes perfect. 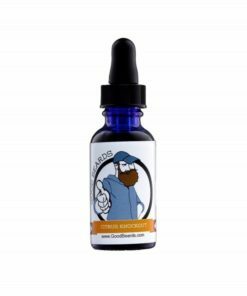 Your beard will thank you for this! This product contains all natural ingredients and is not intended to diagnose or treat any specific problems. If you develop a rash or any adverse side effects, discontinue use immediately and seek medical attention. TOPICAL USE ONLY, all of our essential oils are 100% pure therapeutic-grade Natures Oils, and the base oils are a cold pressed Grapeseed, Vitamin E, Apricot, Hempseed and Jojoba blend. Copyright ©2018 by GoodBeards, LLC.